When on Maui’s illusively gorgeous North Shore, take advantage of all opportunities to explore the community, and check out some of the rarest in-the-know destinations. With our valuable insider’s perspective, we have created a short guide of Maui’s must-do activities in Paia and Haiku. When in Paia, feel entirely immersed in North Shore surf culture, shop at an excellent selection of boutiques and gift shops, and embrace Hawaii’s rare, small-town culture. Haiku is a great place to explore and enjoy jungle living, and an excellent place for some R&R while venturing to or from Hana and East Maui locales. Enjoy a handful of Maui’s most popular restaurants, and lavish in true luxury at any of Maui’s North Shore beaches. With a multitude of offerings to enjoy island life, kick back and enjoy your Maui vacation to the fullest. 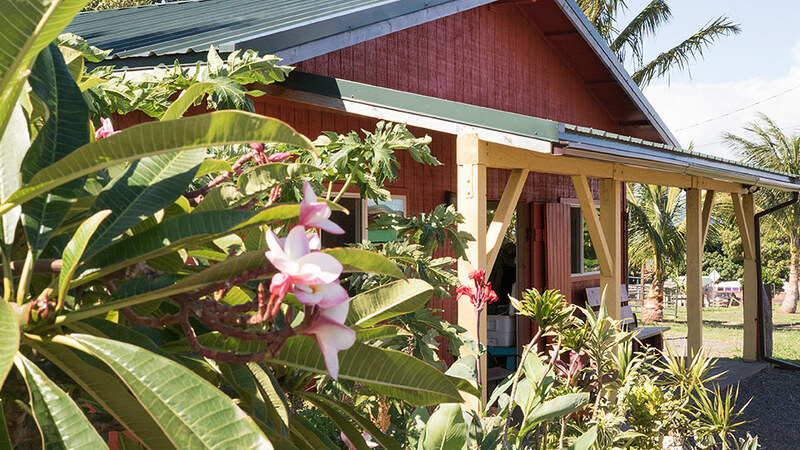 Pretend that you’re a Maui North Shore resident for the day, and imagine what it would be like to live a simple, quiet, happy and beautiful Maui lifestyle! Maui’s North Shore is No Ka Oi! Enjoy! When visiting the North Shore of Maui, do not forget to check out Baldwin Beach! This gorgeous Maui beach is located at the 6-mile marker of Hana Highway, just a couple of minutes west of the Historic Town of Paia. Sprawling approximately 17 acres of North Shore coastline, this beach has a little something for everyone. For those traveling with small children, head down to the far left of the main parking lot to the west end of the beach, ‘Baby Beach.’ This area is protected by a barrier reef wall which allows for a calm cover for swimming, playing in the sand, and having a quiet family picnic. To the far right of the parking lot is the ‘Cove,’ an area frequented by cool Maui folks, yogis, families with kids, and sometimes fire dancers and DJs! This is a great place to swim in the ocean and sunbathe. Depending on the time of year, the middle areas of Baldwin are perfect for body boarding, swimming, and hunting for seashells! Baldwin Beach Park offers a host of convenient amenities, including a large parking lot, soccer field, public restrooms and showers, BBQ grills and picnic tables, a large covered pavilion, and a lifeguard stand (on duty from 8am-4pm daily). Please head all ocean warning signs and postings. For more information, please visit Baldwin Beach park. 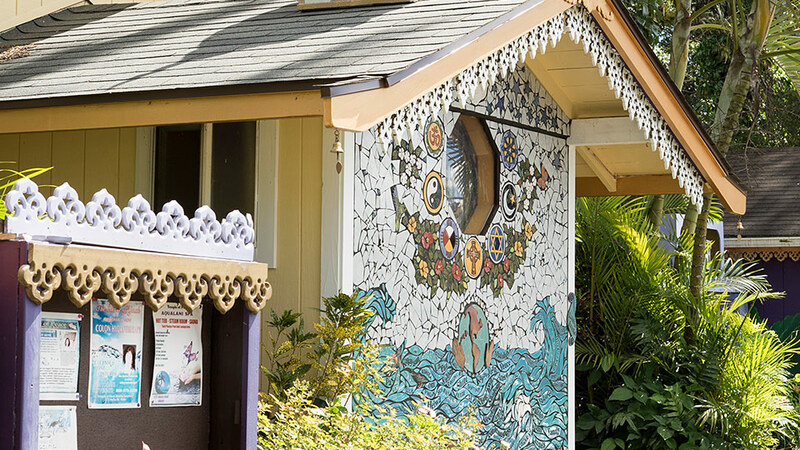 There is just so much to say about the beautiful bohemian-style Town of Paia. This shopper’s paradise offers way more than your eye can see! 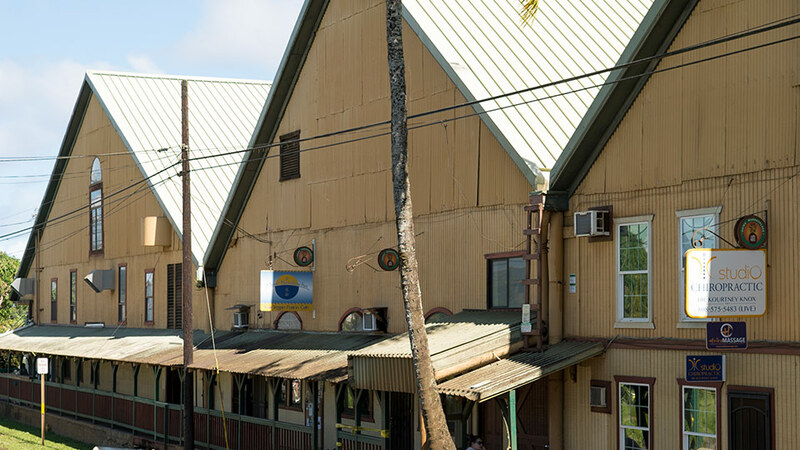 The Historical Town of Paia has deep roots in Maui’s agricultural history and is still garnished by old storefronts and relaxed beach town, country vibes. Once the Counter Culture Revolution of the 1960s (Summer of Love) left San Francisco, there’s no doubt that the real deal hippies set sail for Maui. 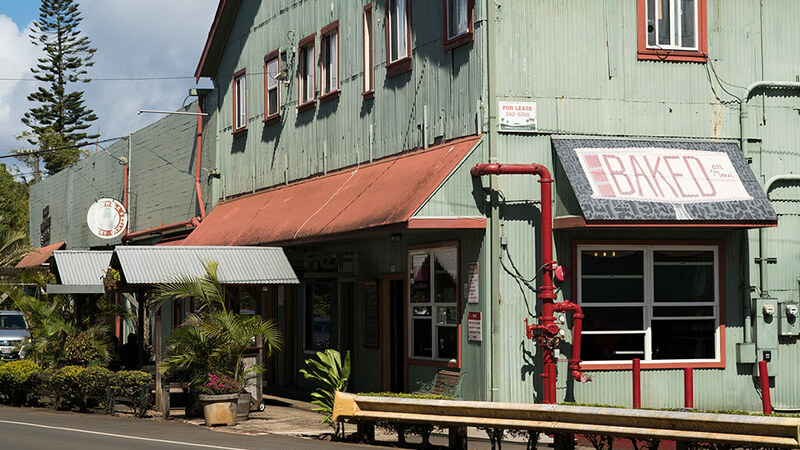 Creating new businesses and adding their flare, Paia Town then became influenced by a whole new demographic of artsy, educated, and conscious types. With the indigenous local surf culture and the wave of windsurfing migrants during the 1980s, Paia became known as a secret gem for all kinds of fun-loving internationals that want to kick back and enjoy their lives to the fullest! Today, Paia Town is still the backseat heartbeat of Maui County – a one-stoplight town that might be responsible for all the unforeseen trends that are at any time seen throughout the Hawaiian Islands. We love Paia Town so much! Here, you’ll find surf shops and galleries, yoga studios, one-of-a-kind boutiques, the Paia Tattoo Gallery, coffee shops, restaurants, and the most ideal health food store in the world, Mana Foods. Paia is the incarnation of Hawaii small town charm. 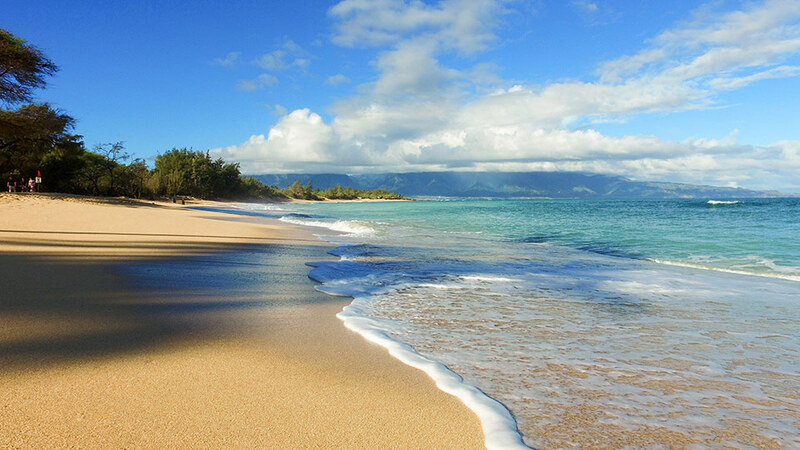 Next time you’re on the island, do not miss out on a chance to visit Paia, Maui’s secret crowned jewel. 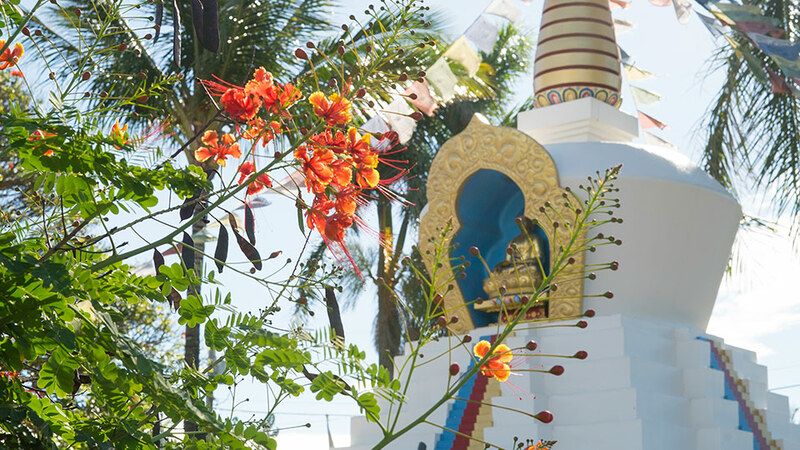 The Great Paia Lha Bab Peace Stupa is located at the Maui Dharma Center in Paia Town. The Paia Stupa is dedicated to the legacy of the late venerable Lama Tenzin (1938-2001) the first full-time resident spiritual director of the Center. Work began on the Stupa in 2005, and it was completed in time to be consecrated by His Holiness the 14th Dalai Lama during his historic visit to Maui in 2007. The Paia Stupa is a unique and special landmark located in Paia Town on the North Shore of Maui. It is an incredible symbol of love and peace, and is beautifully decorated on the inside and out. In stature, the Stupa is 27 feet high and has a large Mani prayer wheel inside. It is a direct symbol of the Buddha’s teachings with gorgeously painted murals inside and decorated with gold leaf details. Visitors are welcomed to stop by any time between the hours of 6:30 am and 6:30 pm to visit, take photos and turn the Mani prayer wheel. The Maui Dharma Center is dedicated to a practice of Tibetan Buddhism in the Karma Kagyu and the Shanga Kagyu Vajrayana traditions. All guests are invited to join the Center’s daily, weekly and monthly prayers, meditation programs, and Dharma talks. The Center is open every day, and morning prayers are from 6:30-8 am, evening prayers are from 5-6: 30 pm and Sunday service are from 10 am-12 pm. Special events that follow the Lunar Calendar are held monthly and annually, including Tsok Food Offerings, Fire Pujas (rituals), Tibetan New Year retreats, and holiday events for Buddhist celebrations. For more information, please visit the Maui Dharma Center and Paia Stupa. 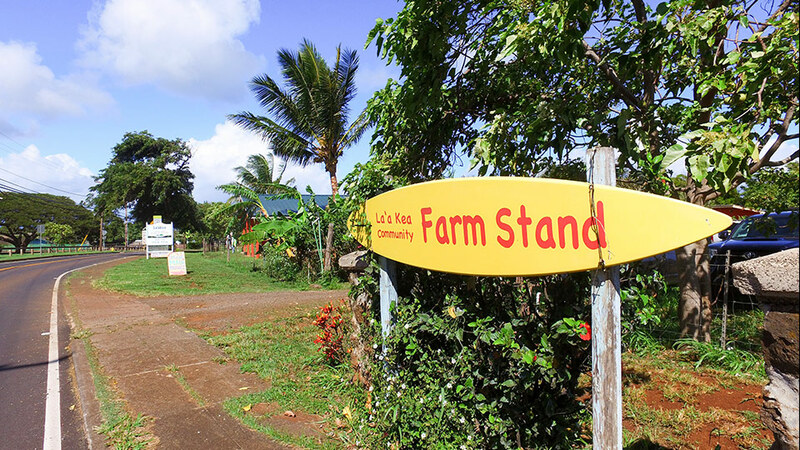 The La Kea Farm is located on Baldwin Avenue just a few minutes up the hill past Paia Town. 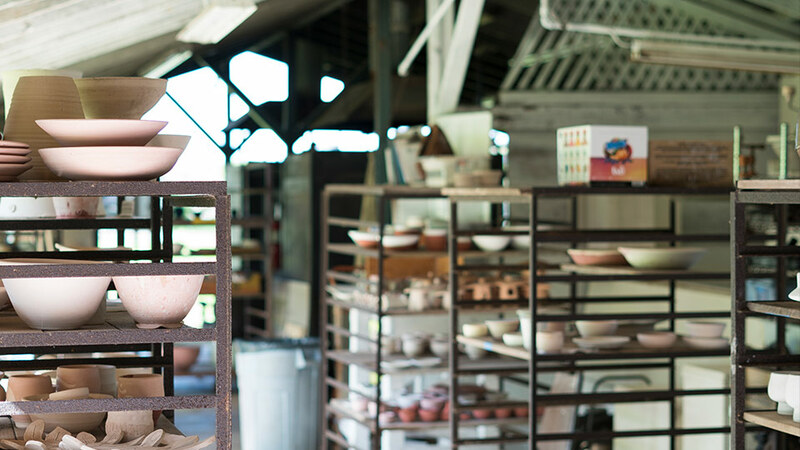 This farm community not only offers farmers markets and craft studios open to the public, but it’s also a conscious non-profit business type that opens itself up to the Maui community. Programs at La Kea include farming, economic venture education, arts, and activities that support a daily living. This non-profit was inspired by the Camphill Villages Model, an international movement designed to meet the needs of those with developmental disabilities through the arts, community, and farm-based programs. La Kea offers a place for resident and non-resident care and is continually expanding their programs. The La Kea Farm Stand is the output of much hard work from residents, participants, staff and local volunteers. This is a beautiful hidden gem on Maui’s North Shore, and a great local non-profit to support. The La Kea Farm Stand is open Tuesday-Friday from 10am-5pm. 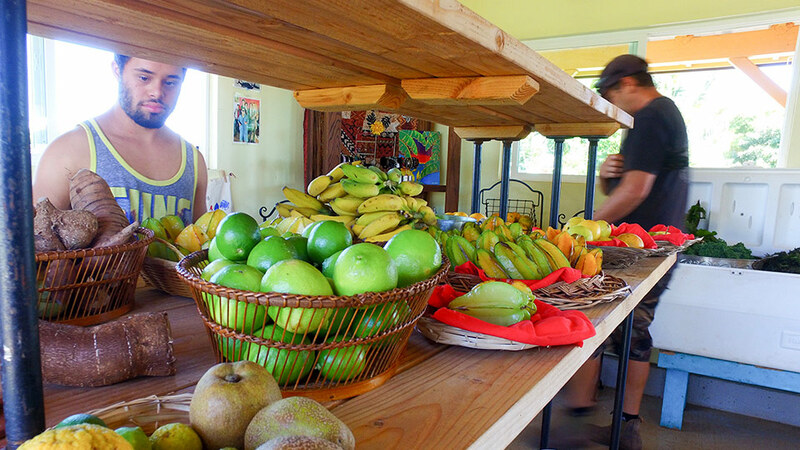 Here, guests and residents can find locally and organically grown fruits and vegetables, and handmade arts and crafts. Their farm recently received its USDA Organic Certification, and the onsite Thrive Cafe is now open for business. For more information, please visit La Kea Farm. Depending on the time of day and year you visit, Ho’okipa Beach Park is a great Maui beach to watch surfers and windsurfers, swim and layout. This is a favorite local spot, and one of the most incredible places on the North Shore to watch a magical Maui sunset. The far right side of Ho’okipa Beach, facing the ocean, is a great place to swim and snorkel during the Spring, Summer and early Fall months. It is a very popular Maui beach for water sports so that you will see everyone and their mother surfing here. The middle part of the beach is a great place to layout and have a picnic, and children can easily play in the tide pools. Ho’okipa is a wonderful place during the Summer for beginner surfers with experience, and those seeking a place for private surf instruction. If you visit during Winter months, make sure to look out towards the horizon, and you may see a pod of Humpback whales. During the Winter, Ho’okipa becomes a competitive melting pot for local, professional and international water athletes. If you are going to Ho’okipa to surf, definitely mind your manners! Ho’okipa means ‘hospitality’ in the ancient Hawaiian language, and that is what you can experience from the Ho’okipa community, as long as you are respectful of the land, ocean, and people. Ho’okipa Beach Park has a host of amenities, including picnic tables and BBQ grills, covered pavilions, public restrooms, outdoor showers, and two lifeguard stands (on duty from 8am-4pm daily). Please head all ocean warning signs and postings. Enjoy Ho’okipa to the fullest; it is one of the most famous beaches in the world! For more information, please visit Ho’okipa Beach Park. The Temple of Peace Maui is a lot of things, but also includes a Cleansing Spa and Spiritual Retreat Center. 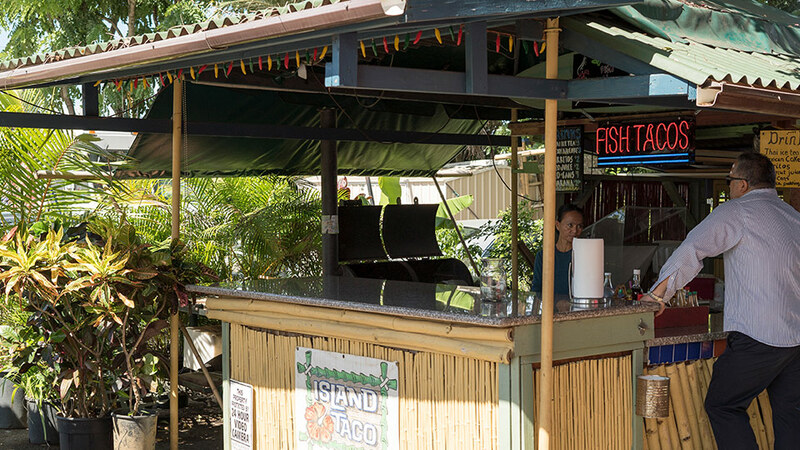 Located on Haiku Road about 2-minutes off of the Hana Highway, you’ll quickly stumble upon this quaint Maui locale. At the Temple of Peace, residents and guests can book detoxification cleanses, colon hydrotherapy, and enjoy a host of healing sessions at the Aqualani Day Spa – hot tub, herbal steam rooms, and a variety of bodywork. Throughout the week, guests can always find a variety of events and workshops led by local and world-renowned practitioners, teachers and presenters. Every Sunday at 10:30 am, the Temple of Peace offers a Heart Song Celebration that is open to the public. All are invited to join in song with this inter-faith spiritual community. The Lotus Heart Gift Shop is all things metaphysical and spiritual, and a great place to buy gifts for yourself, family and friends. Lotus Heart has a wide selection of books, crystals, healing stones, jewelry, spiritual and tribal art, keepsakes, tools for meditation, and locally made crafts. For more information, please visit the Temple of Peace. The Haiku Marketplace at the Haiku Cannery is the hub of the Haiku Community. Here, you’ll find a small selection of convenience stores, including small grocery stores, a hardware store, restaurants, food trucks, gift shops, a bike shop, Chiropractic office, a Pilates & Gyrotonics Studio, a fitness center, post office, a lovely day Spa, and much more hidden away. When visiting the Haiku Marketplace, grab a coffee at Colleens at the Cannery or plan on having dinner at NUKA, Maui’s premiere sushi spot. Fukushima’s store has the best fresh Ahi poke and hot dogs on the island, and the Haiku Grocery Store is always stocked with everything you need, including fresh local produce and a decent selection of beer and wine. Plan ahead for a Pilates class at the Mindful Movement Center in the Aloha Aina Center, or get a perfect adjustment at Studio Chiropractic. A massage at Three Treasures will not be soon forgotten, and Maui Kombucha is the place to be if you’re a kombucha lover, and are craving some delicious raw food. For more information, please visit Haiku Marketplace and Haiku’s Town Center. The Pauwela Cannery is located on West Kuiaha Road in Haiku. 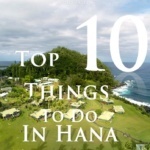 It’s about a 2-minute drive up the mauka (mountain) side of West Kuiaha off of the Hana Highway. 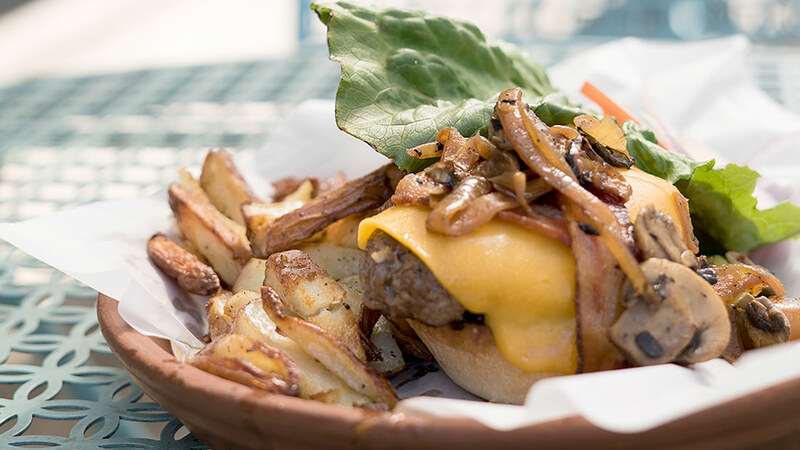 This Maui locale is more frequented by Maui residents but has a few surprises in store for the right visitors. Back in the day, the Pauwela Cannery was a working pineapple cannery. Now, it is site to a host of manufacturing warehouses, surfboard shapers, art galleries, artist studios, carpentry workshops, the Baked On Maui Cafe, an ACE hardware store, “The Death Store,” FLVR Gallery & Gift Shop, the Haiku Video Store, a quaint little plate lunch counter, and Maui’s Dakine Distribution Center & Outlet Store (store closes around 1 pm, open M-F). This is a great place to check out if you’re adventuring through Haiku and want to grab a coffee, pick up lunch, order a surfboard, buy a pretty cool FLVR trucker hat from Mickey Eskimo’s gallery, or pick up some steeply discounted luggage and water sports gear from the Dakine Outlet. When at the Pauwela Cannery, you will find yourself dunked in Maui’s Haiku community. You’ll surely see some great Maui people watching moments and a significant glimpse into the Haiku lifestyle. For more information, please visit Pauwela Cannery. 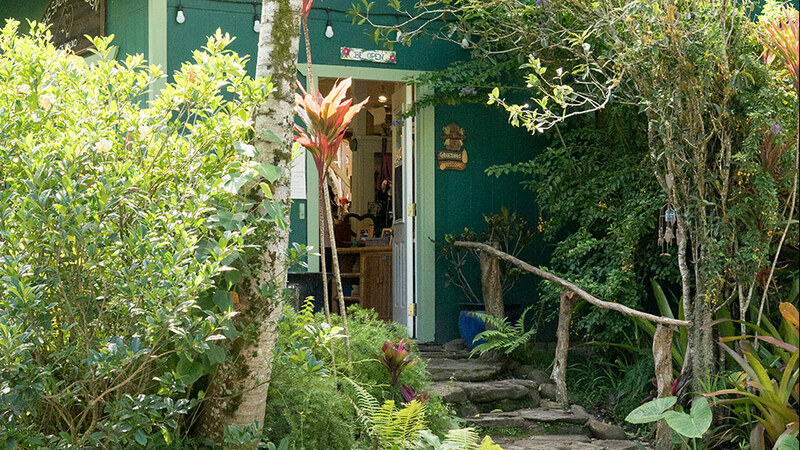 The Sacred Garden of Maliko is indeed an off-the-beaten-path Maui treasure! Not many people know about the Sacred Garden in Haiku, and the land it resides on has some pretty cool history. In the 1970s, Jimi Hendrix and Janis Joplin stayed on the property when Jimi filmed Rainbow Bridge. Today, the Sacred Garden of Maliko offers many things to the Maui community, as well as visitors. Although this Maui locale is “spiritual,” it is non-denominational, and open to all religious beliefs. 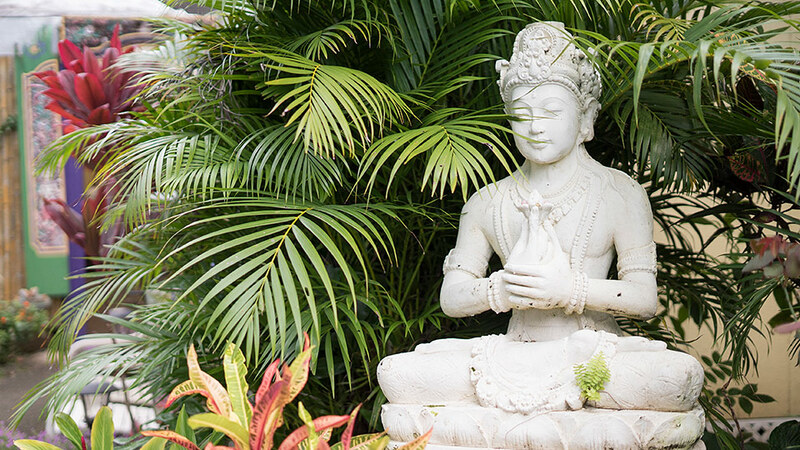 Throughout the grounds, you will see little keepsakes and collectibles that embrace all religious beliefs, including those of Christianity, Buddhism, Hindu, Druid, and many more. On the property, guests can spend time in the gardens and explore two full scale walking labyrinths – an outdoor 11-circuit Chartres Cathedral Style Labyrinth, and an indoor 7-circuit Universal Labyrinth (with a sweet little message in the center). Guidelines for walking the labyrinths are simply to “walk with an open heart and an open mind.” Every month, the Sacred Garden also offers a Full Moon Labyrinth Walk, open to the public. In addition to the labyrinths, the Sacred Garden also has an indoor nursery, meditation gardens, a “Mother Shrine” dedicated to all things feminine, picnic and sitting areas, and a magical little boutique. Every Thursday, this venue offers a Labyrinth Walk & Talk at 3 pm, Folk Music Sing-Alongs (every 3rd Thursday at 3 pm), free DoTerra aromatherapy and essential oil classes (Saturdays at 10:30am/3pm, and Wednesdays at 3 pm), and Energy Medicine classes every Thursday at 3 pm. In addition to their weekly events, guests can also enjoy spiritual retreats, massage services, and various group classes (kids, teenagers, and adults). The Sacred Garden of Maliko is run by the Divine Nature Alliance, a 501(c)(3) public nonprofit organization. Visits are free to the public, but they will accept donations. 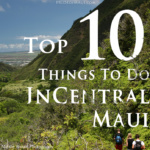 For more information, please visit Sacred Garden of Maui. In the ancient Hawaiian language, ‘Hui’ translates to an organization, community, alliance, partnership, or society. ‘No’eau’ translates to artistic, technical, talented, expert, wise and skillful. Together, the Hui No’eau Visual Art Center on the North Shore of Maui is a blend of everything that the above definitions represent. At the Hui, guests are encouraged to embrace their creative side. 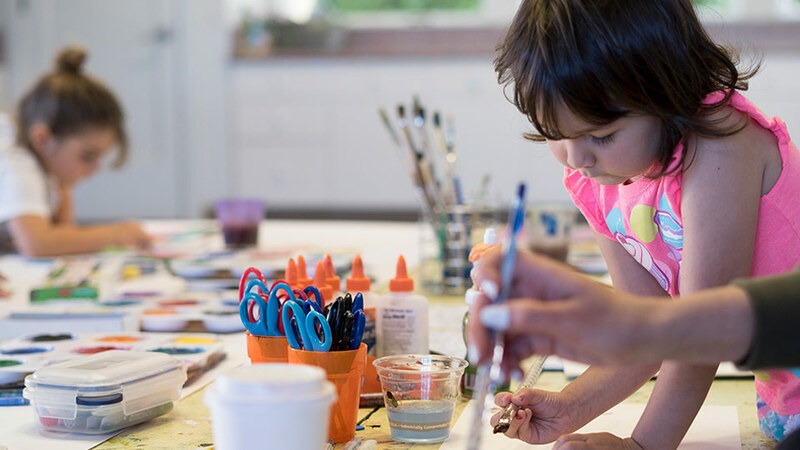 If you plan, you can easily enroll in adult or kids art classes while you’re on vacation, or check out one of their art shows at the gallery. The Gallery Shop at the Hui No’eau is a great place to pick up greeting cards, prints, souvenirs, jewelry, and locally made art pieces. It is truly an enjoyable part of their business to support because all proceeds benefit their exhibitions and educational programs. 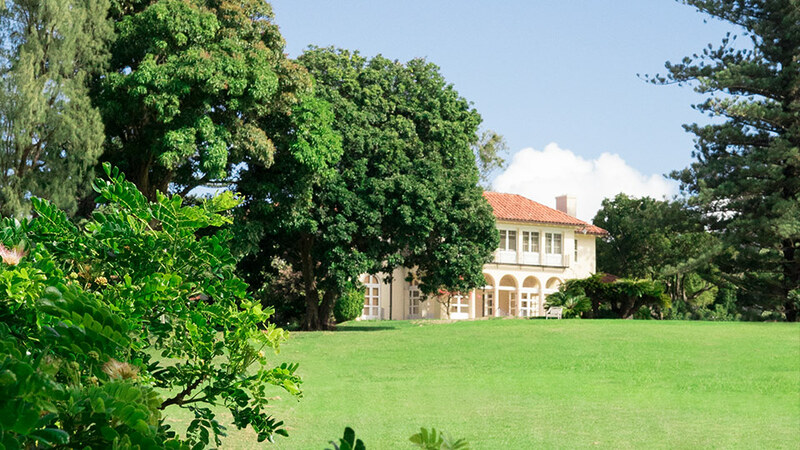 Throughout the year, the Hui also offers a beautiful selection of onsite events such as Art Affair, Maui Open Studios, Food & Wine events, and a host of programs with internationally renowned guest speakers. When planning a trip to the North Shore of Maui, there are so many diverse groups, businesses, and communities to explore. You will not find anything like the Hui No‘eau throughout the Hawaiian Islands; it is a one-of-a-kind art organization. The Hui is a great place to visit en route to or from Upcountry destinations and is located right off of Baldwin Avenue. For more information, please visit the Hui No’eau Visual Arts Center. 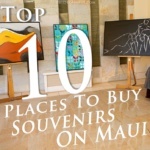 Mahalo Nui Loa for reading Pride of Maui’s Top 10 Things to Do in Paia and Haiku article! We hope that you thoroughly enjoyed reading about these North Shore Maui gems, and encourage you to seek out wonderful vacation experiences by visiting a handful of these locales. 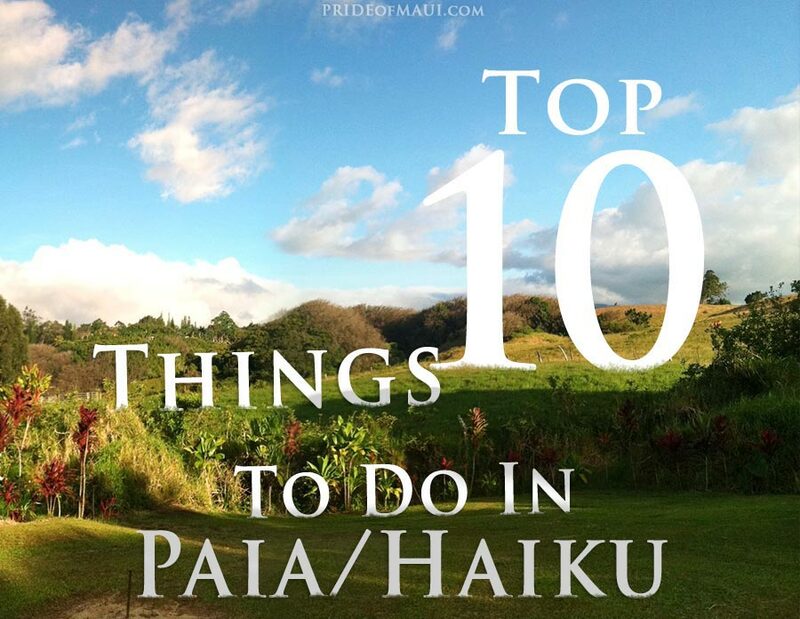 What are your favorite places to visit in Paia and Haiku? 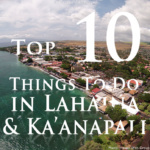 Please share this article with your family and friends, and check out this site for more places to visit in Paia.